Yeah, um, my blog is still dark, so that's what I'm calling a hiatus. And for those of you who are following the saga, my weight loss program is getting interrupted by a series of oh-dark-hundred family events which are always the domain of Dad because Mom needs her sleep. I can be just as cranky on 8 hours sleep as I can on 4, so I'm the night watchman in my house. Anyway, Dan Edelen had posted some criticisms of a piece Phil wrote a while back, and his interaction with me got cut short because of some bad news he received. It was somewhat obtuse of me to pursue that exchange in light of his concerns, but since then he has come back with his own criticisms. I'll take that as a signal from Dan that he's ready to hear some discussion of the views he has presented on Charismatic gifts. I figured this would be a good time to go back to that discussion. As to Tozer, I'm not writing this blog for TeamPyro. I'm writing it for people looking for the 1st century Church in 21st century America. That's the whole point of this blog. If you feel my posting the Tozer is some kind of backhanded slap at you, you're wrong. I posted it because I'd recently read it, thought it useful, and I did not have time for anything else giving what is going down with my family. I get your intended meaning of the "1st century" thing, but one of the things that most people who talk like that forget is that we are not living for something past, or in view of a past which was far better than what we have today. The real "ad fontes" claim is that we go to scripture to find out what we ought to correct, and then correct that. And then as they say on the back of a shampoo bottle, "rinse. Repeat." But we should be living for something which we should see as imminent—that is, the return of Christ. That view is what would bring restoration and life to the church—to seek the bridegroom and not some allegedly-better past age. If you say the Tozer post was not a shot at my objections to your response, I take that at face value. 1. Paul usually wrote corrective letters. If the people within Timothy's fellowship weren't having problems with the gifts (as did Corinth), why would Paul need to address them? I can name dozens of issues Paul didn't address in his letters to Timothy and Titus. He doesn't give any instruction on the understanding of the Trinity or how to correctly handle the Lord's Supper, yet both of those are critical elements of the Church. If the Lifeblood of the Church is the Holy Spirit, why point out something so obvious unless it was being abused, as it was in Corinth? The answer to your question here is, "If the church in Crete was being abused by spiritually-deficient men (and it was), it seems obvious to me that Paul would instruct Titus in how to use the miraculous gifts to point to the Gospel since that is the thesis you have affirmed here." If "the Lifeblood of the Church is the Holy Spirit", and the church in Crete was dying, you'd think that Paul would tell Titus to give it a transfusion. That's not what he does: he says, in words to this effect, "Preach the Gospel so that people will live as if it were true". The thesis I proposed to you was, "The Charismatic Gifts, as manifest today, point people to Jesus Christ." For Titus, the problem was that people were turning away from the Gospel. If the thesis is true, then the obvious, clear, and most vivid way to turn them back (it seems to me) is "the Lifeblood of the Church". If it isn't, please let me know why. I was actually hoping you would bring this up. There is no question—none—that Paul and the other Apostles were healing the sick and so on in the time of Titus and Timothy. I wouldn't bother to try to say otherwise. But if this is true, why are the gifts -at-best- given only a passing mention by Paul, especially in contrast to sound doctrine and the consequence of sound doctrine, which is sound living? The gifts, in your words, demonstrate the "lifeblood" of the church. You'd think something that critical would not be overlooked or taken for granted but heavily relied upon to fortify the mission of the church. Well, I would think that. You might think something different. 3. Try to prove why someone left something out. Any proof you have is conjecture. Given that the Bible makes no conjecture about the gifts ceasing either DURING the lives of the apostles or AFTER, anything you attempt to insert there is eisogesis. If you wish to take that direction and force the “prove what's missing” route, I'll ask you what I asked Phil to prove: That there has never once been a genuin manifestation of a charismata since the Apostle John died. Good luck, you've got a lot of research to do. The Bible makes "no conjecture" on this subject? "As for prophecies, they will pass away; as for tongues, they will cease; as for knowledge, it will pass away. For we know in part and we prophesy in part, but when the perfect comes, the partial will pass away." I think it does make at least this much conjecture. Plainly, this statement by Paul—speaking to the Corinthians about what he calls a "more excellent way" than the gifts of the previous section—says that the gifts actually will cease, will pass away. In one sense here, I think it is obvious that he means that at some point, if you are speaking in tongues, you're going to stop—maybe just to take a breath—and at some point, a prophecy will be fulfilled and therefore pass away, but love is not a part-time practice. Love is perpetual. That's one thing he means here. But it is equally obvious that he's talking about the end of signs and wonders—that the signs are for a time only, and not for every moment and certainly not for every age or every single day. "When perfection comes" is a sequential delimiter for Paul's argument, and when he follows that with this—"When I was a child, I spoke like a child, I thought like a child, I reasoned like a child. When I became a man, I gave up childish ways. "—it's plain that he's saying that to be fixated on the signs is immature and must be given up for something greater. The question is not merely what's missing: it's what is missing and what is instead evident. If the gifts were the thing, the real backbone or lifeblood of the practice of the church, you'd think that Paul would have told the Corinthians, "listen: the Gifts are holy and to be prized and feared because they are literally the manifestation of God. So when the gifts are on, all else is off—and let those gifts point you back to the Gospel." But instead of saying that, Paul says here that obsession with the gifts is immature because they are short-term means. They are passing away. The question is not just what Paul left out: it is what he says instead which really clears the slate regarding the role of the kinds of gifts you are trying to make into a spiritual gold seal. Wow. That's amazing. I agree—the word in the Greek there is "charisma"—but in what way can you interpolate that to mean "tongues, prophecy, or some other miraculous wonder-making sign"? Doesn't it seem more obvious in the context that the gift Timothy received from the elders by laying on of hands and with a "prophecy" (that is, by an authoritative word of or from God) is the gift of being a teacher or pastor in the church? That's the context Paul is on about here: Timothy should not be discouraged by his youth or let others undermine his ministry because he was has firm foundations to stand on: God's word in Scripture, sound teaching, and the endorsement of the elders and of (apparently) God. BTW, every single commentator I have found so far agree that the gift Timothy has is the gift of leading and teaching—not some kind of miraculous gift like changing water into wine. That includes Andrew Wommack, who is hardly any kind of cessationist. Why does this passage have to mean, "and the ability to heal the sick"? 5. Paul only briefly mentions the Spirit six times in the three epistles. Your argument here, if extrapolated, would make it seem as if the Holy Spirit isn't all that important to Paul as a person in the Trinity because he mentions Him so little. Does this mean the Holy Spirit has little to do with the believer or the functioning of the Church? Hardly. You misconstrue my argument. What is at stake is not whether the Holy Spirit is important: it is whether the miraculous gifts which Paul does not mention at all are the obvious, natural or necessary outworking of the presence of the Holy Spirit. In that, if Paul is tasking Timothy, for example, on how to select overseers, you'd think one of the key matters would be, "and he exercises his supernatural gift for the life of the church." Seriously: you yourself will admit (I hope) that not every believer has these gifts—some of us only have the mundane gift of administration, for example. But in that, I think it would be unconscionable for you to say that you should have a pastor who has no supernatural gift. Why doesn't Paul make tongues or healing or prophecy a criterion for eldership? Is having the gift of prophecy that much more obvious than having to be a husband of one wife, or a man with a well-run household? Frank, the evidence is there for the continuation of the gifts. To me it's unmistakable and clear. In truth, I was taken back by your question because—for the very reasons I address above—it seems so fragile a means by which to build a cessationist argument. In fact, the 1 Tim 4 passages clearly mention the charismata and show them in the very context of their proper use in ministry. Not even hardly true. Not even barely true. John Gill disagrees with you; Matthew Henry disagrees with you; John Calvin disagrees with you; indeed, even Andrew Wommack—himself a continualist—disagrees with you. You can try to apply the sticker that says "eisegesis" on me if you like, but first you have to peel it off your own fingers. 1 Tim 4 does not mention the "charismata" (as you mean it here) at all. As I said before, Jesus commanded His people to minister and He gave them power to do so. That power was given as part of the commission. None of that power has been rescinded, because the commission to us today is the same as it was to the early Church. Jesus's commission remains, as do the gifts. It's simply a phony conflation to say, "well, if the Gospel is still true, the gifts must still be true and valid." It's a baseless equation. There is no place in Scripture that says that the Gospel will always—in all places, at all time, until the return of Christ—be paired with the supernatural gifts, and it certainly never says that this is the primary or most critical way the Holy Spirit points men to Christ. But it does, in fact, say that the gifts will cease—that seeking the gifts rather than a life which is changed by love is an immature practice. Why is martyrdom extolled by Christ as a sure sign of being His true disciple, but doing signs and wonders in His name specifically named by Him as a broad attribute of those whom, in the final account, He will say He never knew? That is: why doesn't Christ tell us in His own personal ministry about the Gospel-pointing ministry of supernatural gifts if they are as important as the Continualist position suggests? Please reconsider this question, as it strikes right at the heart of the matter of how Christ's gifts to us through the Holy Spirit until the end of all time are actually manifest. I do not believe the New Testament teaches "strict cessationism." I believe, like John Piper and others, that such is a false view. Yes, many of the miraculous gifts did "cease," for history shows that (unless we accept the modern "Pentecostal Movement" as a real example of the "charismata") to be the case. Yet, there is no reason why these gifts cannot be now restored. I Cor. 13 and the interpretation that the "perfect is come" is a reference to the completion of the bible, is a clear case of "eisogesus." 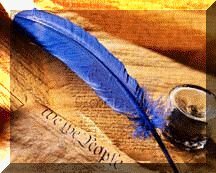 I have written a good bit on this topic and have intentions of writing more on it in the future once I finished the other writings I am now engaged in. I enjoy reading the many good articles here and the discussions that follow. I take the charge of eisegesis seriously, so I will address it here with you and see if you have something more substantial than just the charge to bring. I will let you spell out your case, and then I will expand on the reasons I have given in this post to see if they cover your objections. > It's plain that he's saying that to be fixated on the signs is immature and must be given up for something greater. The last one would suggest something other than your proposition that the way of love is an alternative to pursuing the gifts. It implies both are possible. I think that for continuationists it is always missed that there were enormous problems with the Corinthian church that would make the use of the gifts corrupt at it's worst and suspect at the least. And for Chris HH, if you truly hold to those prooftexts that you just mentioned than you would quickly show us how the only gift you've actually pursued is prophecy. Taken in it's context Paul does not say that the gifts were wrong, but that the Corinthians were completely consumed with having those that would be used in public (this would argue against a private prayer language). Yes the Corinthian church was immature. Abuse of spiritual gifts, factions, endorsement of sin. Abuse of the Lord's supper. I think the appropriate context is why Paul wrote to the Corinthians. Not to derail the thread but could any of you better versed in this issue than I point me to a good treatment of Acts 8:9-25? Especially in regards to the baptized believers who had not yet received the Holy Spirit until the Apostles laid hands on them. I think the real problem with this dialog between "charismatics" and "non-charismatics" is that the one is based on experience and the other is based on doctrine. Maybe it is a very simplistic way to look at things; however, I think that's the reason why the two sides will never agree on this topic. My question for both sides will be: What would it take for you to move from one side to the other? What I'm going to assume is that all errors made by continualists in this thread are honest, and that they are actually inerrantists and biblicists and not enthusiasts who replace the word of God with an experience or a sign. Because that's what they claim to be, right? They demand that we face them on even footing and treat them as people who agree with us about the nature and sufficiency of the Bible. So I grant all of them this -- even if they say things which militate against it. And I do this because this is the most important presupposition against the continuation of supernatural/miraculous gifts: the Bible compels us from one thing toward another, from someplace where all men start to a place where the believer ought to end up. Take, for example, the baptist inerrantist who demands prohibition and the outlawing of alcohol. He does this in good conscience, and he affirms in a rather red faced manner that his view is the Biblical view: all wine is evil, and all beer leads to hell. And to support his view he adamantly cites Lev 10:9 (as if that was for all of Israel and not just the priests, and even if only the priests as if they were never to touch any wine), and Num 6 (as if the Nazarite vow allowed a man to consume any part of a grape), and Prov 20, and since God said it, I believe it and that settles it. But what they ignore, for example, are parts like Deu 14 where God says strong drink is for the sake of rejoicing to God for His goodness, or Gen 27 where Isaac makes it clear that part of his blessing to Jacob is wine, of Deu 33 where the land in which Jacob dwelled is called a land of "grain and wine", indicating a great blessing, and so on. See: it is not enough to merely draw a black line in the middle of the pages and start placing the names of things mentioned in the Bible either on the left if it is bad or on the right if it is good. The Bible is a more nuanced book than that, saying things like man is both in the image of God and a sinner who is condemned to hell and in need of a savior. So in that, the sufficiency of Scripture is not that it gives us a binary view of life, but that it gives us a sustaining view of all things it touches. And the matter of the spiritual gifts is certainly one of those things. So when we grab one verse or another out of context and say, "well, the Bye-bul says that Paul thanks God he speaks in tongues (1 Cor 14:18), so that's whe we ought to do," we are violating our own beliefs in the kind of writing the Bible is. We are being sloppy, and glib, and frankly dishonoring to our own right-minded affirmations. Let's take a look at 1 Cor 14 and see if what Paul is saying there is that people ought to crave tongues and prophecy in the way Isaiah and Elijah produced prophecy. Let's remember first that the verse numbers are not inspired: they are convenient, but sometimes misdirective of what is happening in the text. In that, what we receive as Ch. 14 starts, "Pursue love, and earnestly desire the spiritual gifts, especially that you may prophesy." The first half of this verse is a summary of Paul's point in Ch. 13, (which we will return to in a moment) but suffice it to say in a completely non-controversial way that Paul has just exhorted the Corinthians that the "more excellent way" (more than what we will get back to in a moment) is a life of love. In that, he says that they should live in love, and desire to "prophecy". Now, let's be serious for a moment: is it anyone's opinion that Paul is here saying, "Pursue love, and earnestly desire the spiritual gifts, especially that you may hear God's words apart from Scripture in a way which is at least as authoritative as Scripture, and if written down would actually be Scripture?" Who would say that? I challenge any of the believers in continualism to say they do. The continualist would agree with me, and all cessationists that Paul is here speaking not of the office of Prophet but of the gift of exhortation, or truth-speaking, in conformity to the word of God. 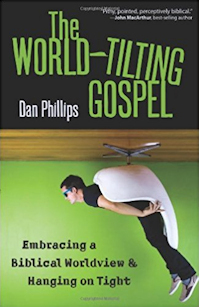 For example, clearly Dan Phillips has the gift of prophecy in this sense -- Dan is plainly gifted to speak the truth in and through and by God's word. But if this is what Paul is talking about here, then observe the contrast Paul is making -- especially when he gets into his riff about how tongues are only for the sake of the unbeliever, but that prophecy encourages and edifies both the believer and the unbeliever alike! And in that, we come back to what Paul said in Ch. 13 about the duration and application of the gifts: love is the mature believer's gift, his objective and his life. Being fascinated with miraculous occurrences is for the immature believer. "When I was a child, I spoke like a child, I thought like a child, I reasoned like a child. When I became a man, I gave up childish ways. For now we see in a mirror dimly, but then face to face. Now I know in part; then I shall know fully, even as I have been fully known." Think about that: Paul is not merely talking about the resurrected state here -- Paul is talking about when we are mature in faith. That is, when we are not merely children who seek a sign, but are on the other side of the signs and wonders living in love and demonstrating the love of Christ. And he ices that cake with this: "So now faith, hope, and love abide, these three; but the greatest of these is love." That is, the miraculous gifts (as he has said) pass away, but Faith, Hope and Love continue on. That's the contrast of Ch 13! It is not that you should abide or endure Love: it is that, as opposed to the gifts which will pass away, Love endures. Love continues. Yes: no question -- Paul says that we should seek after spiritual gifts. But the ones he says we ought to seek after are speaking the truth of God's word, and love. Which continualist would deny that? Which cessationist would deny that? So why make this into something which is a dispute by saying something Scripture doesn't say? That's a great question, and I have a wordy answer. In my heart, I would really rather that the way the church demonstrated its connection to the Holy Spirit and its affiliation with God would be through signs and wonders. For example, I would really rather be able to walk into a Benny Hinn event, walk to the front as he howls at me to be seated while he prophecies, and for me to be able to tell him to shut up in Jesus' name because these are the true signs of God -- and then heal the people there who are actually sick, lame, blind, dying of cancer, etc. See: that would be something to which there is no answer, no argument. I'd heal all the people Benny Hinn would not even see, I'd do it for free, and then I'd turn to Moses and all the Prophets and show how they testify to Christ, who came to suffer and die for the sake of all righteousness to be fulfilled. To me, that would be a much easier church to belong to, a much simpler call to faith through experience, and I could really, really give up blogging. And it wouldn't have to be me doing that stuff, either. It could be my pastor, or Joe Thorn, or even iMonk or Tim Enloe. I'd follow any guy doing that work for real in the way Paul and Peter did it, and carry his bags and cook his food and whatever. Because who can question that? But what Paul calls the Corinthians to -- and by extension, the whole church -- is not to follow after signs. That is, not to be in service to a sideshow which is frankly -not- the reason Christ died. Christ didn't die in order to make us the metaphysical SuperFriends. So what it would take for me to be a continualist is for Scripture to define the context and use of the gifts in the on-going life of the church. And it doesn't do that. Scripture in fact warns us against being sign-chasers and wonder-seekers. Are you saying that prophecy is a miraculous gift that has ceased, or a Spirit-enabled exhortation from the scriptures that has continued? Also, I agree with your point about Bible references not being inspired. However 1Co 14:1 contains the Greek particle "de" which is always used as a conjunction. I think the conjunction is your undoing, and the English is more than adequate to demonstrate why, unless you're going to argue that no translation in English gets this passage right. [KJV]"Follow after charity, and desire spiritual gifts, but rather that ye may prophesy." [HCSB]"Pursue love and desire spiritual gifts, and above all that you may prophesy." [NIV]"Follow the way of love and eagerly desire spiritual gifts, especially the gift of prophecy." [ESV]"Pursue love, and earnestly desire the spiritual gifts, especially that you may prophesy." One interesting trait of these translations is that they all reflect the -multiple- use of the conjunction, and they also take special care to translate the "hina" clause at the end -- that is, "pursue spiritual gift for the purpose that you prophecy." See: to read this passage the way you are trying to angle in here is to say that suddenly Paul -- when he refuses to do this in any other letter -- is very hot to say, "you know: you've got to have all these supernatural manifestations of people speaking directly from God's mouth because the Scripture surely is not enough on its own. You need more than Scripture to get you to the right spiritual state." Paul the Pharisee of the pharisees; Paul who was in the habit not of setting up a tent revival in each town but instead reasoned from the Scriptures in the Synagogues with the Jews until they either converted or threw him out. If you read this section of this letter as if Paul wrote it and not as if it comes out of some kind of anonymous authorial void from nobody or anybody, it makes sense that Paul -- writing to a church which is having trouble even naming sin and judging it in its own midst -- says that the two things you have to manifest as spiritual gifts are Love and Truth. That's what he says to Titus; that's what he says to Timothy; that's what he says to the Romans; that's what he says to the Colossians. And he says it here in the context that these people would rather speak in tongues in a somewhat self-involved and order-overturning way. As I said to Benjamin, it would really be somewhat vindicating and relieving to me that God is demonstrating the apostolic gifts right now, today, and that's how we know the word of God is being preached. That would be very, very appealing to me. But this passage of Scripture says no such thing. And what I am saying is that the ability to speak something which is a new revelation equal to Scripture is no longer a gift to the church. That gift was used by God to form the NT, and now we have the NT rather than that gift. However, we cannot deny that Paul says here that prophecy should be demonstrated in the church. So what do we make of that? Do we press a lot of presuppositions into what Paul meant there and lay hands of prophets in every church to make sure the word of God is spoke there? Or do we instead look at what Paul describes and accept the fact that Paul is instead talking about a right teaching or exhortation -- that prophecy has as much to do with teaching what the Lord hath already spake as it did when there was an office of Prophet who really did hear the voice of the Lord audibly and could say, "thus saith the Lord"? Paul is not talking about hearing the still, small voice in the cave: he's talking about -bringing- a "prophecy" the same way you -bring- a teaching. So I reject the premise of your question regarding the kind of supernatural event which is happening. If I had to put fine theological categories on it, I place what Paul is talking about here as under God's Sovereignty rather than under his Omnipotence. You presume a lot about what I am trying to say. What matters is not what I say, or you say, but what the Scriptures say. Paul says that we should pursue the way of love AND eagerly desire spiritual gifts. This is at odds with your assertion that the way of love is an alternate more mature path. Paul says that both prophecy and tongues will cease. This is at odds with your interpretation that tongues has ceased, but prophecy (as a form of teaching) has continued. So you can continue to take pot-shots at what you think I have said, but I'd still like you to clarify how what you have said can fit with what Paul says. "And what I am saying is that the ability to speak something which is a new revelation equal to Scripture is no longer a gift to the church. That gift was used by God to form the NT, and now we have the NT rather than that gift. However, we cannot deny that Paul says here that prophecy should be demonstrated in the church. So what do we make of that? Do we press a lot of presuppositions into what Paul meant there and lay hands of prophets in every church to make sure the word of God is spoke there? Or do we instead look at what Paul describes and accept the fact that Paul is instead talking about a right teaching or exhortation -- that prophecy has as much to do with teaching what the Lord hath already spake as it did when there was an office of Prophet who really did hear the voice of the Lord audibly and could say, "thus saith the Lord"?" That's not something I would say. Scripture is the means by which we are to weigh prophecy. If prophecy itself carries the same authority then we have a vicious circle. You can have new revelation that does not constitute new scripture, and does not contradict existing scripture. When the Spirit opens to our eyes to something we have not seen before in the word, that is a new revelation. When Jesus returns, he will no doubt speak, and his words will carry authority, but they will not constitute new scripture, nor contradict existing scripture. ...and in that day, prophecy will truly pass away. For who will need an intermediary when we all behold him face to face? I have to dash now. It's been a pleasure interacting with you guys. I'll try and catch up on the discussion later, but it may be a while. "When the Spirit opens to our eyes to something we have not seen before in the word, that is a new revelation." For the record, that is NOT a good definition of new revelation. When Mom tells you to clean up your room because you ignored her the last time she told you, she is not giving new information or new revelation, she is repeating herself for the sake of her disobedient/deaf child. Incidentally, Chris's definition answers his own question in exactly the opposite way that he has been driving at. That is, prophecy is now the expostition of existing prophecy (ie Bible) and not new revelation. That's an interesting accusation – the same one that Stephen leveled in the first comment. I'd love to see the evidence of that – to see the offense detailed and described rather than just applied as if that settles the matter. No. What Paul says – and I gave 4 translations of it last time – is "Pursue love and desire spiritual gifts, above all in order that you may prophesy." Διώκετε (you-all press on) τὴν ἀγάπην (in brotherly love), ζηλοῦτε δὲ (and you-all seek after) τὰ πνευματικά (spiritual things/gifts), μᾶλλον δὲ (and moreso –or- and greater still) ἵνα (for the purpose of; in order that) προφητεύητε (you-all may prophecy). Paul states explicitly here that seeking after spiritual gifts is for the purpose of gaining the gift of "prophecy" – not some menagerie of unlisted spiritual gifts. And in that, as we read 1 Cor 14, he tells us what he means by prophecy. Sadly, it's not "that which, when written down, is Scripture". Paul is not writing a "Chicken Soup for the Pneumatistic Enthusiast" here: he's writing a corrective letter which is steering the Corinthians away from an obsession with miraculous signs and toward a life which is informed by love and by truth. However, if you choose to read v. 14:1 here as if it is printed on a blank page, I can't stop you. There's no changing your mind if the verse has to exist without any introduction or conclusion. Let's first ask the question what you mean when you say, "prophecy", Chris. My suggestion to you is that if you define that word in a narrow way, you cannot make sense of this passage of Scripture at all. However, if you see that Paul himself uses the word two different ways in the course of Ch 13-14, you can make some kind of sense of what he is saying. So tell us, please: what is the meaning (or meanings) of "prophecy" given in this passage? If you can provide that, we can make something out of your complaint. | have said can fit with what Paul says. It is too bad you see this as pot-shots. It speaks to whether you are open to criticism of your views. There has been almost no sarcasm or snark so far because I know you are defensive over this issue. Get over your defensiveness and think about what Paul has written here – not just from the standpoint of words like dominoes, but from the standpoint of the overall shape of Paul's reason for writing and extended message to the Corinthians in this letter. Can you demonstrate that the definition you have given of prophecy is the one Paul is using in Ch 13? I think there's not question that's what he's saying in 14 -- but in 13, he's talking about something else. What's the difference between what you say is prophecy and, for example, someone in your church coming up to you and saying, "Chris, I have a word of knowledge for you: the Pyromaniacs are going to eat your lunch in the discussion of the Gifts, so avoid them at all costs"? Does that prophecy have any binding authority on you? Defenders of modern charismatic phenomenon frequently cite the Book of Acts as support for their position that the modern church ought to reflect the apostolic church with regard to the sign gifts (the spirit-given gifts of mircles, healings and tongues). The main problem I have with those who say the miracle sign gifts are still operational today is this: much (if not most) of what happens today in charismatic circles does not follow the biblical pattern. For example, if the gift of tongues or healing is still operational today, then I would expect these gifts to be manifested as they were in Acts, and be practiced in a biblical way as Paul instructs. That is, tongues would be the ability to speak in a language one had never learned, not unintelligible vocalizations. That is what is manifested in Acts 2. And churches that practice the gift would do so in accordance with Paul's instructions in I Cor. 14, and not every believer would be expected to have the gift of tongues because Paul says in I Cor. 12 that each believer is uniquely gifted, and "not all speak in tongues" (I Cor. 12:30). The same would be true of the gift of healing - a believer with this spirtiual gift would be divinely enabled to heal a person completely, of an organic disease or injury as did Peter (Acts 3) or Paul (Acts 20:9-12). Of course, some people were healed apart from the spiritual gift of healing. They were healed by God in response to the prayers of His people on behalf of the person who needed healing. 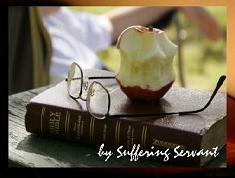 James instructs us to pursue healing in this way (James 5:13ff). He does not instruct us to find the person with the gift of healing. So, if my charismatic brethren wish to claim the continuation of the NT miracle sign gifts, then it's fair to ask if what is manifest is actually patterned after the NT. Now, there are some who say we ought to drop the discussion of this issuse becasue it is so divisive, especially with regard to the issue of tongues. It can certainly be divisive and that should be curtailed as much as possible. But, the issue is important enough to debate in a loving, but vigorous way since many charismatics sincerely believe that those who do not have the gift of tongues and do not experience regular "power manifestations" are living a spiritually deficient Christian life. This view will fuel the debate for a long time to come. So, let's debate this and do so in a godly and kind manner. [pressing that annoying button from Staples] "That was easy." Any relation to Robert Lamm? That, my good Steve, is a good word. Jesus said that these would be the signs of those that Believe. Most people I know (who are what I would refer to as actual believers, evidenced by how they live their lives, not by their intelligent arguments) actually function in some form of spiritual gift...if not all of them. I do not believe that the gifts in themselves are what we should be after...of course Jesus should be, but when you know him intimately...fruit happens. Anyone wanna tell AJ something he clearly doesn't know? I'd do it, but I don't want to seem unkind. Thus, any doctrine formed on the basis of that section is on shakey ground at the least. 1. Jesus also said, "Go into the village in front of you, and immediately you will find a donkey tied, and a colt with her. Untie them and bring them to me" (Matthew 21:2) See you there? 2. As the NIV note before Mark 16:9 says, "[Some of the earliest manuscripts do not include 16:9-20. ]﻿" Best not to base a doctrine on an iffy textual basis. "Nevertheless, some scholars have not been impressed with the evidence against these verses, and have maintained that they are original. These scholars have pointed out that the witnesses which bring the verses into question are few, and that the verses are quoted by church Fathers very early, even in the second century. To represent this point of view we give below a long excerpt from F.H.A. Scrivener, together with its footnotes." On the other hand, maybe Cent is referring to the handlers. Doesn't every church have one or two? First off, I have re-read my second to last post, and I agree that it was over accusatory and it was over defensive. I apologise to you, Frank. The possibility of two types of prophecy is an intriguing one, and one that certainly helps me to understand your position. I'm not going to dismiss that as quickly as you might think. Mainly because I have thought the same thing... but in relation to a different passage of scripture. In 2Pe 1:19-20, Peter mentions both the "prophetikon logon" - prophetic utterance, and the "propheteia graphe" - prophetic writings, more specifically the prophecy of Scripture. I think it is fundamentally important that we distinguish between those two. And there is no question that ongoing prophetic utterance can produce more prophecy of Scripture. It cannot. As to which is meant in 1Co 13 and 14... there is no such qualifier either way. But the same root word "prophetes" is used in both cases. It is my conviction that both refer to the prophetic gift, i.e. the prophetic utterance. This would fit with Paul's discourse of the supernatural gifts. In terms of the authority a personal prophecy would have over me. That depends how convinced I was that it was the word of God. But in my experience, and from what I read in the word, NT prophecy rarely comes with directive authority. That is, the prophet does not take it upon himself to dictate what should be done in response to the prophecy he brings. He brings what he believes to be the word of God; it is weighed; then those who are already in a position of authority in the body decide what action needs to be taken. This was how it was when Agabus predicted the famine, and when he predicted that Paul would be bound. I would be wary of anyone who tried to bring me a prophetic word and tell me what I needed to do with it! I still disagree that the purpose of Paul's writings was to dissuade the Corinthians from the use of Spiritual gifts - the misuse of the gifts - yes. The overuse of tongues in the corporate setting - yes. But to say that when Paul says "eagerly desire the Spiritual gifts" taken in context it actually means "actually they aren't that important" I find a stretch at best. Proper interpretation of Scripture demands that we recognize the difference between PRESCRIPTIVE texts - those that command the obedience of all believers in all times, in every place, and DESCRIPTIVE texts - those that describe an event or situation that does not necessarily apply to all believers. It would surely help if Christians could nail that principle down. Might avoid lots of trouble (and some considerable discomfort)! On another frustrating note: Can any of you web wizards tell me how to unblock my profile so people can actually access it? I will if you answer my question. Thanks guys for pointing that out for me...I did not realize that. Obviously I "clearly didn't know" haha. It still strikes me a little odd that the end of Mark is somehow there. Hmm. I wonder if it might actually be true? Somehow I have faith to believe that God makes sure His word is intact and worthy to be trusted. I choose to believe this portion was insired by the Holy Spirit. If you don't, well that's your choice. Thankfully, we will all find out the truth someday. got to blogger.com and log into your profile and make sure it's set to a public profile. If that doesn't work, e-mail me. Dan: You're right about Chris. Hi, I've just tuned into this site. Paul does not separate or categorize spiritual gifts based on miraculous or non-miraculous. Thus in 1 Corinthians 12:28 he lists the gift of administration next to the gift of tongues. In Romans 12:6 the gift of prophesying is listed next to serving and teaching. The categorization of gifts into miraculous or non-miraculous is not a Pauline distinction, I believe. - On a separate note, I am "blog challenged" - if the link connects to my little blog, please forgive its sparsity, I have been unable to get back in and edit it. It is true that Paul believes all gifts are God-born from the Spirit. No question. But what does her here in 1 Cor 13-14 use the metaphor of child-to-adult maturation? And why is he so keen to point out that one gift is useless for believers while another is useful for both believers and unbelievers? -That- is where Paul is drawing distinctions. Sorry about the delay regarding Robert Lamm. I tried answering your question by e-mail. No luck I guess. Anyway, I have a deceased uncle named Robert Lamm and a young nephew with that name (he's a 20 year old Marine). But I doubt if those two are the Robert Lamm you're refering to. Oh? I'm sorry to hear that, and don't understand. I'm filops@yahoo.com. No, Robert Lamm is the keyboard player for the band Chicago; sometimes "Bobby" Lamm. I see you figured out the profile mystery, so I'll owe you some other bit of technical wizardry when you need it (if I have it to give). I think your charismata didn't work, dude. So, was it a claim to Biblical prophecy, and we should stone him? Or was it a modern-day, Clintoned-down prophecy, and we should shrug and say, "Oh, well, can't win 'em all"? I *swear* it was right-on! Oh, that's right... I'm a cessationist... prophecy is something I don't have the gift in (thankfully). At any rate, your comments here and at Dan's blog were made very well. It's not that we are arguing just to be 'right' and "them" wrong, but what is the truth about the matter. Your continuing refinement in laying out the biblical theology on the revelatory (and healing) gifts are helping me to answer some questions from my other pastors and elders who are continuationists (the 'open but cautious' types-- we aren't anywhere near charismatic or pentecostal). I'm still wondering, though, if those who hold to continuationist views are truthfully being honest with their own conscience and the Scriptures about whether the cessationists are really, really RIGHT about how God (the Spirit) is working through His people today. Methinks that we are still being stereotyped, and are being charged by continuationists with stereotyping them; I think that your arguments against Dan and others have proven this false. Again, thank you for your insight and study on this! Please! Don't stone me! Otherwise, I'll have to call down masses of kittens and have them paw you 'til you cry uncle! I posted my original comment under my blog "christ's second coming," and I appreciate the discussion that has followed. I want to add these words (I recently posted in my baptist gadfly blog). Those who are "strict cessationists" have a difficult time with the coming of the "two witnesses" mentioned in Revelation chapter 11. It is very clear that these two men of God work miracles during the time of the Great Tribulation, possessing supernatural gifts of power over nature, and power with God in prayer, and this amidst abounding supernatural works done by leading wicked men. The question that every "strict cessasionist" must ask is this: Are these two men exceptions in every way, at the time of their "prophesying"? There is no doubt that they are exceptional in their gifts and mission, but are they the only ones, among the latter day saints, who are thus empowered for witness in that evil day? I trow not. I find it abundantly taught in scripture that God will again revive these gifts among the few, in the extreme latter days, "who have not defiled their garments," and who have remained true and faithful to the Lord amidst abounding corruption, on the right hand and on the left. No, all the supernatural powers will not be in the hands of the enemy, but also in the hands of the chosen ones. “The worst impieties of all ages shall concentrate in one. All the power of hell itself shall come into play upon earth. Such times the world has not yet seen. Indeed, human philosophy has become so wise as to banish from the range of possibility even the smaller variations from the ordinary course of nature which stand recorded of the past. But all such wisdom is folly. There is nothing permanent in nature. It is not true that “all things continue as they were from the beginning of the creation.” Mighty changes and variations have occurred, and will yet occur. Natures’s laws are not God, and are ever subject to modifications both from heaven and from hell. Satan could impoverish and sicken Job as Moses could afflict Pharoah. Nay, here it stands written, from the lips of Him who is the Alpha and Omega, that there SHALL COME TIMES WHEN SPIRITUAL POTENCIES, GOOD AND BAD, WILL SHOW THEIR ACTIVITY ON THE EARTH, AS IF NATURE HERSELF WERE ABOUT TO BE ENTIRELY SUPERSEDED. I think too that the "sealing" of the 144,000 indicates some kind of miraculous gifts, power over nature, is given to them. I don't think the end time will find all the supernatural workings on the side of the Anti-Christ alone. I also do not see how Paul could be interpreted to be "discouraging" the use of the charismata, in his first letter to the Corinthians, and at the same time exhort them to "earnestly desire spitirual gifts, especially that you may prophesy." I do believe the supernatural gifts have ceased, but that it only represents a "hiatus" in their manifestation, possibly representing that period between the "early and latter rains." Why do we preclude the Lord from gifting certain ones today from using those gifts for the glory of the church? As a really good "addendum" to what I previously posted, for those who are more serious about investigating this topic, even as Baptists, they should check out this article by John Piper. I endorse it wholeheartedly. It is a treatise titled "Signs and Wonders: Then and Now"
Feedback on his article would make the prophecy come true that the comments here will go over a hundred posts? this statement from Piper is from 1991. Just to be clear, is this something Piper still affirms today (I know he is a contualist)? Though I have others things I must attend to, because you continue to press the issue, I will respond for now. I can't promise to respond in the future. 1. Scripture interprets Scripture - I'm certain we both agree on that. 2. Scripture says what it must say and omits what it omits - Proper exegesis of the Scriptures relies on addressing what is said, not speculating about what is not said. Speculation is exactly that, and for that reason, we do not create or destroy foundational doctirnes within the Church as espoused in the Scriptures based on speculation. I certainly hope we both agree on that issue, too. 3. We do not form doctrines based on a single Scripture verse. The Scriptures are rich and they continually reinforce themselves. All sound doctrine within the Church is based on a complete understanding of the Scriptures, not on a lone verse. Throughout history, error has crept in when we create and destroy doctrine on stand-alone verses. Again, Biblical scholars agree on this concept, and I hope you do as well. 4. As we have both agreed, the New Testament clearly shows the charismatic gifts bestowed on the Church. It shows them in action. It provides doctrinal reality as to how they function and must be administrated. It includes narratives showing the gifts at work. It explains why they have been given. The Bible shows the gifts operating throughout the whole of the New Testament after the point at which the Spirit came upon the Church. For this reason, the burden of proof to believe the gifts have passed is not on the charismatic/continualist, but on the cessationist. The gifts are a foundational reality of the Church. To make any changes at all to this position is to provide multiple Scriptures and compelling arguments based on Scripture against that doctrinal position. Not speculation (as in #2 above), but compelling reality that anyone can see stated explicitly in the Scriptures. Therefore, the burden of proof on the cessationist position is not something attended to lightly. It must be compelling in order to overturn the majority of revelation. We have the canon of Scripture as a means by which God tells us the Gospel story, equips us for the work of the Kingdom, and provides us correction. The books are broad and cover many topics. 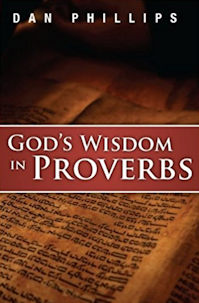 Each book has its emphases, and God in His wisdom alone has chosen them to be what they are. For our benefit, God gave us answers in the canon. In 1st Corinthians, Paul develops a healthy doctrine of the charismata because that church had some lack of understanding in that area. He didn't address that with Timothy and Titus. If we ask why, we have moved into the realm of speculation. Paul didn't feel the need to address the gifts with Timothy and Titus. Perhaps he had addressed it in other letters to Timothy and Titus we do not have. Perhaps he addressed them in person or through others. Perhaps neither Timothy nor Titus had problems in this area, so they needed direction. Perhaps, perhaps, perhaps. The Scriptures develop a rich theology of the gifts. We have that rich theology. To speculate as to why God did not move Paul to write on that topic to Timothy and Titus is to also speculate why He did not advise on the proper administration of the Lord's Supper or the doctrine of the Trinity, both foundational realities within the Church. We can speculate all we wish, but we cannot overturn a foundational truth based on speculation. You know that. I don't understand why you pepper nearly every question and statement you make with speculation. Speculation does not make for sound exegesis. Let's stick with what the Scriptures plainly say and not go off into speculation. The burden of proof, again, is on the cessationist position. But it cannot be fulfilled by speculation. I absolutely agree the gifts will cease! The question becomes one of when. I understand this is a favorite verse of cessationists. It seems their entire argument against the vast reality of the gifts and their continuation rests on this verse. I have no idea why. Again, solid exegesis demands that, to overturn a foundational truth laid out in Scripture, we must go to multiple sources within the Scriptures themselves. But you have not. Worse, you attempt to overturn a foundational truth not just by one verse, but by one word within that verse! The rich reality of the gifts gets annihilated by one word! That astonishes me, Frank. I, for one, don't have the courage to recreate doctrine found in both the Old and New Testament based on one word. I doubt that any serious Biblical scholar does. Albert Barnes: "The sense here is, that “in heaven” - a state of absolute perfection - that which is “in part,” or which is imperfect, shall be lost in superior brightness. All imperfection will vanish. And all that we here possess that is obscure shall be lost in the superior and perfect glory of that eternal world. All our present unsatisfactory modes of obtaining knowledge shall be unknown. All shall be clear, bright, and eternal." In other words, the perfect comes at the end of all things, when the Kingdom comes fully in Christ's return. Adam Clarke: "The state of eternal blessedness; then that which is in part - that which is imperfect, shall be done away; the imperfect as well as the probationary state shall cease for ever." John Gill: "When perfect knowledge of God, of Christ, and of the mysteries of the kingdom of heaven shall take place; which will not be in this life, but in that which is to come." Matthew Henry: "But it is plain that the apostle is here setting the grace of charity in opposition to supernatural gifts. And it is more valuable, because more durable; it shall last, when they shall be no more; it shall enter into heaven, where they will have no place, because they will be of no use, though, in a sense, even our common knowledge may be said to cease in heaven, by reason of the improvement that will then be made in it. The light of a candle is perfectly obscured by the sun shining in its strength." And Henry makes a very telling observation in his commentary. He notes that the gifts will not be needed in the world to come, but love will be. This is the whole point of Paul. I fully agree that the gifts cease on the Great Day of the Lord, but love endures past that day because God is Love and love powers the Kingdom both now and forever. Will we cease to love God and He us when we die or when He comes again? No! But there will be no need for the gifts then because our work is done (a concept I'll expand further on). Peter frames Pentecost and the outpouring of the charismata within the Joel prophecy. The last days begin with the outpouring of the Holy Spirit (and the gifts) and end with the Great Day of the Lord. That timeframe delineates the extent of the continuation of the charismata. These sources are not in dispute. They all agree that the charismata will cease--but they will do so when the end of time comes, when the Lord returns on that Great Day. Again, the burden of proof for the cessationist view must provide compelling evidence to overturn foundational truth. That compelling evidence simply cannot be made from one word in one verse. You claim I'm misunderstanding what the gift is here. I'm not. I'm fully aware that Timothy has been blessed with a pastoral gift. I've never disputed that. What I'm referring to, and you missed, is the prophetic word spoken over Timothy that confirmed his pastoral gift. You claimed Paul discussed nothing of the charismata in his letter to Timothy, but he clearly does by recalling the action of a revelatory word of God confirming the pastoral role of Timothy! How we miss this! When we deny that type of prophetic word spoken over our leaders, we create an environment of doubt wherein men not fit for the pastoral role are allowed to become pastors because we have said that God no longer reveals His will through charismatic prophecy! What a tragedy for the Church! When we toss away the charismata, we toss away this type of confirmation used to confirm the roles of specific individuals within the Church. We then go on blindly to install folks God may not have confirmed because we base their confirmation on things outside the Spirit. And for this error, we've damaged the Church. God gave that prophetic word then and He will do so today if we believe that He will. Our problem is that too many people say the charismata have ceased. Therefore, God has given us over to the vagaries of installing people into positions of leadership who do not have His confirmation by means of prophetic revelation. 5. Are the charismatic gifts necessary or not? Many cessationists believe the gifts were only for the initial establishment of the Church in the first century during the Apostolic Age. But that theory contains a profound flaw. You see, the Church of Jesus Christ never stops being established. Even today, it's being established on the frontiers of lands peopled by folks who have never heard the Gospel. To those people, today is the same as the first century, because the Gospel is coming to them afresh. And it comes in the same manner and means as it did the day of Pentecost. Not only this, but even in this country, the Gospel is still being established because we continue to establish it from one generation to the next. The frontier exists even in a country like ours filled with churches because we must establish the next generation in Christ or else the Church here will cease to exist. Your basic premise ("The Charismatic Gifts, as manifest today, point people to Jesus Christ.") has a subtle underlying flaw we must examine if this is to make sense. A rich landowner approaches a poor man and asks the poor man to build him a house. The rich man provides all the tools, the best made. Because the rich man is an expert builder, he promises to teach the poor man everything he knows. And this he does. The poor man is given the riches of the wealthy man to complete the work. So the poor man, with all that has been given him by the rich man, builds a magnificent house. When the house is complete, the wealthy man comes to inspect the beautiful the house the poor man has built for him. The poor man thanks the rich man for the job and for the bountiful pay the rich man gave him. The rich man offers to make the poor man the chief carpenter of all the houses he wishes to build. When the rich man askes the now no-longer-poor man what he thinks of the house and his new position in life because of the rich man's generosity, the man says, "Look at this hammer! It's amazing. I've never seen a hammer like this. And this drill! Wow." You see, the once-poor man was looking at the wrong thing. His fixation was on the tool, not on the work. Jesus Christ gave the charismata at Pentecost to accomplish His commission to the Church. He Himself does not fixate on the tools because the tools are subservient to the work. Yes, Christ did not speak volumes on the gifts in the Gospels. He does not go into great detail on what they will be, but He instead shows us at Pentecost. Peter understood this, as did the rest of the apostles. We're to understand also. It's not about the tool, it's about the mission, the work. This doesn't not mean that we throw the tools away because it's not about them. We use them in their proper place to work the work Christ asks of us. And just as the Lord does not change, neither has the work He set out before us. We are still establishing the Church. The charismata are part of the tools by which we do so. This is why they pass away only on the Last Day--because then the work is done. But as of today, the work is not done. So they persist. If we choose to believe the charismata have ceased, then we only make the work harder. Worse, we tell the Lord that we will not use the very tools He paid for with His blood. As to the question you ask me at the end of your post, my answer comes out of what I just wrote. We cannot make the tools our focus. The focus is on the Lord and His mission. Pretenders will come who use bogus tools to do unauthorized work, but this does not negate the reality of the geniune tools given the genuine workers for the Kingdom. Frank, you are a very intelligent man, but you have no case here. You've not met the burden of proof and you simply can't, especially with speculation as to why God did what He did the way that He did. The Scriptures are clear and rich with the work. They show us the tools and how to use them. God is good. Let's thank Him for the gifts and continue to use them for the work He's set before us. I made a comment on your blog which, apparently was deleted (by you) -- and it was a simple question. Any insight as to why it was not given any air time? And any insight as to why you should be given air-time here when you are unwilling to answer questions on your own blog? Your issues did not stop you from coming back and leaving, um, interrogative comments last week. I realize that personal issues are personal, but let me say this: don;t hide behind them. Don't use them as an excuse or a method of shaming others into leaving you alone when you want to be an advocate of something which is, in the best case, controversial. That said, I'll be back later today with an extended response to this last comment from you. Paul says in 1 Corinthians that "now I know in part, but then I will know fully just as I also have been fully known" Even though we have the Bible in its final form this situation of knowing as we are known has still not occurred and thus I understand the perfect to refer to the full realization of Christ's reign. Thus this scripture, by itself, does not support cessationism. I'm not sure that many concepts more complex that "Thou shalt not commit adultery" can be supported by a single verse alone. Could I take a stab at 1 Cor. 13? And I am already aware that there are differing interpretations than the one I present here, as Dan pointed out (Henry, Barnes, etc., as well as Grudem and even MacArthur may disagree with this interpretation). It seems that the key is in vv. 9-10 -- "in part", "perfect", "complete." The contrast in these verses is between what is partial and what is complete. It is quantitative rather than qualitative. Prophecy, tongues, and knowledge are incomplete means of revelation. When the means of complete revelation comes, the incomplete means of revelation will pass away. Now on to v. 12. What is it we "see" and know"? Most would say "God" -- we see God dimly now, but will see Him one day face to face. But when you are looking in a mirror, you don't see someone else, you see yourself! What Paul is saying is "For now we see [ourselves] in a mirror dimly, but then [we will see ourselves] face to face (or clearly, like a clear mirror). Now I know [myself] in part; then I shall know [myself] fully, even as I have been fully known." And what is the mirror that will allow us to see ourselves clearly? To sum: the "perfect" (complete means of revelation) that has come is the Word of God; the "partial" that has passed away are gifts mentioned in v. 8. An alternative view to the one presented above: Num. 12:6-8 sheds light on this passage, as it contrasts indirect and indistinct revelation ("visions" and "dreams") vs. direct and clear revelation ("face to face"). 9 For we know [God's truth or revelation about Himself] in part and we prophesy in part, 10 but when the perfect (complete) comes, the partial will pass away ... 12 For now we see [God's revelation] in a mirror dimly (unclearly), but then face to face (clearly). Now I know [God's revelation] in part; then I shall know [God's revelation] fully, even as I have been fully known. HT: My seminary professor, Dr. Myron Houghton. This is the issue where Phil answered a Charismatic who brought up Benny Hinn, and you (falsely and at great length and floridity) faulted, not the Charismatic, but Phil,, for bringing up Benny Hinn? And were confronted on it by many folks? And STILL haven't simply admitted your mistake? Is THAT what FRANK "continues to press"? Like PHIL "continued to press" Benny Hinn? ...he burden of proof to believe the gifts have passed is not on the charismatic/continualist, but on the cessationist. Oh, now, that's just silly. Someone claims to have something that bypasses Scripture and comes directly from God, and the burden of proof is on me to prove that it isn't? Mercy, what spiritual insanity THAT opens us to. Why, you know — and I really want you to think about this — THAT is the PRECISE attitude that makes Benny Hinns possible. And just to go one more place, that nonsensical notion would require us to rip Deuteronomy 13 and 18 out of our Bibles, reasoning similarly that the office of prophet was foundational to Israel, therefore the burden of proof for prophetic claims lies, NOT on the claimant to prophetic inspiration to prove that he IS a prophet, BUT on all his hearers, to prove that he ISN'T. 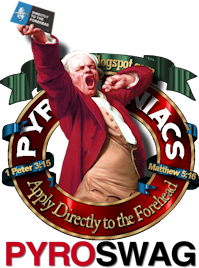 Phil lumped all charismatics in with charismaniacs. I very gently noted that. Phil and I have come to terms on this discussion. That's over for both of us. Yes, the burden of proof is on you to prove that all charismatic gifts have ceased given that the Bible clearly shows them working. It's bothersome that you do not wish to address these issues head-on, but elect to try to twist them so as not to give a cogent response point by point. I make no pretense to support bogus gifts or the ones who use them. But you try to avoid my points by lumping real and bogus gifts together and then saying that all are bogus. That's flawed logic, yet it seems like every comment you have made since this conversation began continues to use that same sidestep to avoid confronting the real truth that gifts are to continue. Yes, the burden of proof is on you to say that no longer exist. You not only have to rebut their continuation in a soundly Scriptural way, but you need to prove that not one single genuine gift has manifested since the deaths of the apostles (or the close of the canon, depending on what kind of cessationist you are). You've got most of Church history around the globe to examine. Good luck. No one disputes that charismatic gifts are clearly described in Scripture as being in operation. The thing is: Is this descriptive or prescriptive? If the latter, is there any indication that such gifts are to be expected throughout this entire present age? We cessationists would argue "no," and I would even venture to say that the miraculous workings we read about in Acts are descriptive, and hence not normative for the church today. It is this failure to distinguish between descriptive and prescriptive that leads in part to such fruitiness as "anointed prayer cloths" and the like. The Bible clearly tells us about floating axe-heads and muddy eye salves which heal blindness, but that doesn't mean that we have a reasonable expectation for such things today. DLE: "Phil lumped all charismatics in with charismaniacs. I very gently noted that. Phil and I have come to terms on this discussion." See, the thing is: I didn't "lump all charismatics with charismaniacs," and your response (if I may say so mildly) was perhaps not as good a model of gentleness and restraint as you fancied. I thought we "came to terms" because I pointed out (from a lengthy context) that I didn't actually say what you seemed to think I said in the post that set you off. As Dan said, others have pointed this out to you as well. But you keep making the same assertions. Is it your idea of "coming to terms" that you get to keep reinventing what I said in my original post in your own terms? "...You not only have to rebut their continuation in a soundly Scriptural way, but you need to prove that not one single genuine gift has manifested since the deaths of the apostles (or the close of the canon, depending on what kind of cessationist you are). You've got most of Church history around the globe to examine. Good luck." Methinks he's WAY overstepped the authority of scripture issue. If the case for cessationism can be made in a soundly Scriptural way, why then, what may or may not be found in church history has exactly no bearing whatever on the questions being asked. If cessationism is scriptural, then anything that appears to be an example of a sign gift just isn't. Simple as that. Wrong, as has been pointed out to you, repeatedly. Wow, you really haven't ever read even one post of mine on the toic, have you? On second thought, given your unrepentantly (see above) miserable mishandling of Phil's — never mind. Isn't the evidence that the sign gifts are not in use, and that the only ones we see are not biblical, somehting that can be used to support cessationism? For instance, Noah lived to be 950 years old. Man! I'm glad God changed that. But could someone live to be 950 years old again? Sure if God wanted them to. So, Dan [P.], he need not listen to you -- he's unceremoniously defrocked you and every other pastor-teacher not ordained by charismatic prophecy! And besides, on Dan's (absurd) standard of proof — suppose I say that I have conclusively proven that the revelatory charismata have fulfilled their purpose and are non-operative. Doesn't it then become Dan's burden to comb over everything I have ever written, said in conversation, taught, sang or preached, and prove that I haven't so done? Will that be available for BibleWorks 7 any time soon? Daryl: you said "I'm not sure that many concepts more complex than 'Thou shalt not commit adultery' can be supported by a single verse alone." True, but you have to start somewhere! Also, the originator of the blog considered this verse significant in the debate. In my judgment this verse does not prove cessationism. As regards church history and experience of others: C.S. Lewis once gave the analogy of doing math, and then asking someone you trust to check the sums. I myself am not a charismatic (for lack of a better word), but I know charismatic brothers and sisters who I *know* love Jesus and who have made great sacrifice to preach the gospel to people in great need and poverty. And they clearly exhibit the fruits of the Spirit: joy, love, peace, in abundance. I have learned a lot from them about prayer and worship. Haven't ya'll ever met Christians like this as well? ... we'll see who's laughing after you all have to read THAT. HA! Your name is appropriate for I believe surely there has been a “hiatus” in the granting of the nine miraculous gifts. Allow me to kindly address the following things you say in today’s writing. Has Joel 2 been fulfilled? Has all things been restored? Have we had the commotions in the heavenly bodies of which it speaks? “I will pour out of my Spirit” is continuationism, is it not? Why are not the other things associated with Joel’s prophecy? Maybe we do not have God given dreams and visions because we think this has ceased for us today? Again, this goes back to what I said above. Have we really checked thoroughly the annals of early church history on this point? Also, did not Hanserd Knollys believe he had a gift of healing and brothers went to him for healing? Why does one exclude the other? Yes, and no. Does this not all go back to one simple principle that Jesus taught? A principle that cannot be made to apply to a sub dispensation within the church age? What is that principle? “If you had faith as a grain of mustard seed...” If we had greater faith, faith that only God can give, in whatever degree he chooses, and to whom he chooses, could we not still work miracles? Or, is the statement of Christ not applicable today? Should we not seek this greater faith? I think perhaps it is! Read Piper’s treatise again! Again, I do not see that one excludes the other. Here is what a reformed writer of high caliber wrote not long ago on this matter. He recommended some writers that I need to check out. A work that closely resembles my own position, that presents in its own way some of the points that I would raise, and that does this in an accessible format, is Sola Scriptura and the Revelatory Gifts by Don Codling, a graduate of Westminster Theological Seminary and a Presbyterian pastor. If you are going to get only two of the books that I name in this article, get Codling and Ruthven. If you are going to get only one, get Codling. It is not the most substantial work, but all things considered, it is one of the best options for one who cannot afford to read several crates of books on the subject. 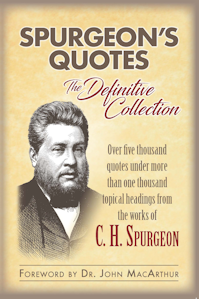 It shows that not only is there no exegetical basis for cessationism, and that there are biblical reasons to expect the spiritual gifts to continue, but it also brings up what ought to be an obvious point, that the sufficiency of Scripture and the completion of the Canon in fact sustain no necessary connection to the cessation or continuation of the spiritual gifts in the first place. This work serves as an adequate basis to assume the continuation of the spiritual gifts (although there are many others to reinforce it), upon which we may construct other propositions and proposals regarding Christian doctrine and practice. Note that this work does not espouse Grudem's position on prophecy. Indeed, when dealing with false prophecies, it makes a serious and effective use of the power of excommuncation, the kind of stance (regarding excommunication itself, and not just as it applies to false prophets) that I have always asserted, but seldom seen in another writer. > My memory is telling me that my former readings about the mention of the charismatic and miraculous gifts in church history had the church fathers mentioning their use well into the second century. So unless you discredit one of the most valuable sources of early church history, we must place the date that the gifts fell out of use sometime after the middle of the second century. I've wondered the same thing myself, but I think this theory has a fatal flaw which is that in I Cor. 12 Paul clearly says the gifts are sovereignly distributed by the Spirit as He wills, for the edification of the church. Are you saying that the miraculous gifts were in fact given by the Spirit, but not put to use or quashed, or that the Spirit stopped giving them? Which to my mind decisively answers every continuationist attempt to explain why the gifts did not, in fact, continue. Funny how we try so hard to make everything that God claims sovereignty over into a decision we can make. You are right in that we must base our doctrine on Scripture, not church history. However, when we do make reference to church history we should make sure we have our facts right. I do hope we can put an end to the spurious claims that there is no historic evidence of charismata past the time of the original apostles. That's just not true. It's because EVERY LAST CHRISTIAN IN THE WORLD succeeded in doing what the first-century church was unable to do: stop the Spirit doing what He wanted to do. As a historical document the Bible has been preserved several orders of magnitude better than any other contemporaneous work. So there is a "cliff-like dropoff" in verified anything relating to church life and practice when compared to the first century accounts in the Word. Also, God is not just sovereign over the use of the charismata in the church. He is sovereign over all things. As a Reformed brother, you must be aware that it is possible for doctrine and practice within the church at large to deviate from the Biblical standard and have to be restored at a later date. How does the historical fact that the gifts declined in the middle of the SECOND century fit with your understanding of the teaching in Corinthians that "the perfect comes"? No, you really do have the burden of proof. That's why you feel you do, and I won't let you shrug it off. You are insisting on continuation; you are asserting that revelation is ongoing. You must provide proof throughout church history, or it isn't "continuation." And any snapshot of any ministry of any faithful, believing man — Spurgeon, Whitfield, Chrysostom, Athanasius, Knox — that doesn't abundantly evidence continuation of exactly the same sorts of phenomena is a problem for you to explain, and a confirmation of the contrary position. So what you're saying is you can't have any hiatus and still have continuance? I stumbled across this tonight at HotAir and thought of you :-). Enjoy.